Israeli army has declared a state of alert in al-Khalil, southern occupied West Bank, following continued clashes with inhabitants over the past three days. Violent clashes erupted on Friday morning in Bab al-Zawiya area near Tel Rumeida settlement where Israeli settlers, under Israeli forces' protection, started provoking Palestinians while heading to the Ibrahimi mosque. The clashes escalated after Friday prayers when Israeli forces fired heavily tear gas bombs and live bullets at Palestinian houses and angry protesters in Bab al-Zawiya. Nearly twenty Palestinians sustained rubber bullet wounds while dozens were transferred to hospital for treatment of gas inhalation, Palestinian medical sources said. Fawar camp has witnessed also clashes between Palestinian youths and Israeli soldiers who had fired a barrage of tear gas and sound bombs at Palestinian houses. 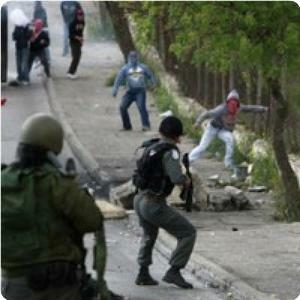 The citizens retaliated by throwing stones and empty bottles at Israeli soldiers. The clashes have been ongoing for the third day in a row after the assassination of three resistance elements by Israeli forces in al-Khalil. Meanwhile, Israeli occupation forces stormed Friday evening Qaryout village, south of Nablus, and prevented citizens from having access to Alsahlat area under the pretext of starting rehabilitation process in the area. The village municipal council had earlier declared rehabilitation process in Alsahlat area, however the residents were surprised yesterday by Israeli patrols blocking their access to the area, local sources said. IOF soldiers fired stun grenades and tear gas bombs at the villagers, which led to several suffocation cases among them, the sources added. A Palestinian young man was hit with a bullet in his foot when Israeli occupation forces (IOF) fired at a march to the east of Jabalia, north of the Gaza Strip, on Friday evening. Local and medical sources told the PIC reporter that dozens marched toward the buffer zone east of Jabalia protesting the IOF attacks in Gaza and the West Bank. They said that IOF soldiers fired at the marchers wounding Jibril Al-Najjar in his foot, adding that many others were treated for breathing problems after the soldiers also fired teargas at them. The marchers denounced the IOF crimes and called for escalating resistance and for boosting youth movement against occupation. 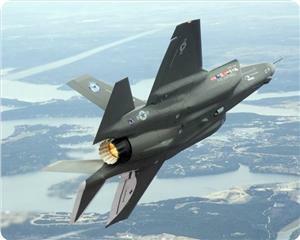 Meanwhile, Israeli reconnaissance planes continued to hover over Gaza city all day long on Friday. Quds Press reported that the planes flew at very low altitudes and some of them visibly carried missiles, recalling that they were used in raiding targets in Gaza in addition to their original espionage and reconnaissance mission. Many Palestinian protestors on Friday afternoon suffered injuries during clashes with the Israeli occupation forces (IOF) in different areas of the West Bank. According to the Palestinian information center (PIC) reporter in Ramallah city, three young protestors suffered rubber bullet injuries during the weekly anti-wall march in Bil'in village to the west of Ramallah. The Bil'in protestors, including foreign activists, protested Israel's Prawer plan intended to displace the Palestinian natives of the Negev region, south of the 1948 occupied Palestinian territories. 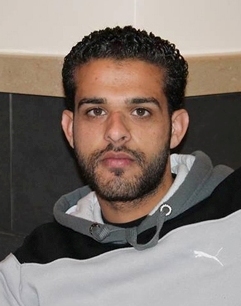 Eyewitnesses reported that Israeli soldiers violently attacked the protestors and kidnapped a Palestinian citizen during the events identified as Mohamed Al-Khatib, adding that the detainee was forcibly taken to the nearby settlement Modi'in Illit. Similar clashes also erupted in the villages of Ni'lin and Nabi Saleh during the weekly marches organized against Israel's settlement expansion and segregation wall. 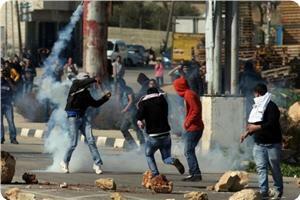 To the northeast of Ramallah, the IOF stormed Silwad town and clashed with its young men. Two young men reportedly suffered rubber bullet injury during the events. A 15-year-old kid named Mohamed Hammad also suffered serious injuries after the IOF suddenly fired live bullets at the angry young men in Silwad. Eyewitnesses said the kid was lying on the ground when Israeli soldiers embarked on brutally beating him before they drove him to an unknown place. 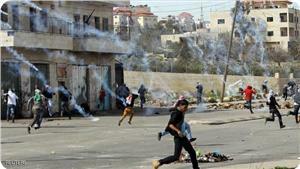 The IOF also attacked dozens of angry young protestors in Jalazoun refugee camp, north of Ramallah. Local sources said IOF soldiers were deployed at the entrance of the camp and started to fire rubber bullets and tear gas grenades at the young men, which led to the injury of some of them. 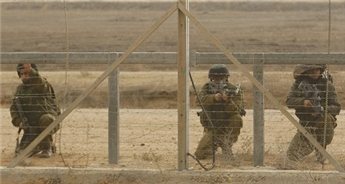 Israeli soldiers, stationed across the border with Gaza, opened fire at Palestinian farmers working in their lands, east of Khan Younis, in the southern part of the Gaza Strip. Local sources have reported that the farmers were only working on their lands when the soldiers fired several rounds of live ammunition at them. Fearing additional fire, the workings ran out of their lands. They stated that the army frequently carries out invasions targeting border areas, and repeatedly opens fire at the workers and farmers. A few days ago, a resident of Khan Younis was shot and injured after Israeli soldiers opened fire at him as he worked in his land close to the border fence. The Israeli Navy also frequently attacks Palestinian fishermen, and fishing boats, leading to numerous casualties, while dozens have been kidnapped, their boats have been confiscated, and dozens of boats were damaged. Last week, Israeli navy forces kidnapped two fishermen were off the fishing port in Rafah in the south of the Gaza Strip. An Israeli police officer Thursday physically assaulted a Palestinian guard at the Al-Aqsa compound, an eyewitness told Ma'an. Omar al-Zanaeen, 60, was hospitalized after an Israeli policeman "brutally beat him" near Al-Aqsa's al-Silsila gate, the witness said. The policeman reportedly ordered al-Zanaeen to close one of the gate's doors 7:15 p.m. before closing time. After the guard refused to comply, the policeman pushed the guard to the ground, causing him to lose consciousness, the witness said. Al-Zanaeen, who suffers from heart disease, was transferred to a nearby hospital for treatment. A spokesman for the Israeli police was unable to be reached for comment. The Al-Aqsa compound, which sits just above the Western Wall plaza, houses both the Dome of the Rock and the Al-Aqsa mosque and is the third holiest site in Islam. The 20-year old Khalil Samir Alami was injured with severe wounds during the clashes that broke out in the village of Ezaryeh (Bethany) on Friday. Hani Halabieh, spokesman of Popular Resistance Committees, said that Khalil and 17-year old Ahmad Khatib were injured with live bullets; Khalil was hit in the chest and injured his lungs and Ahmad was injured in his leg with three bullets. 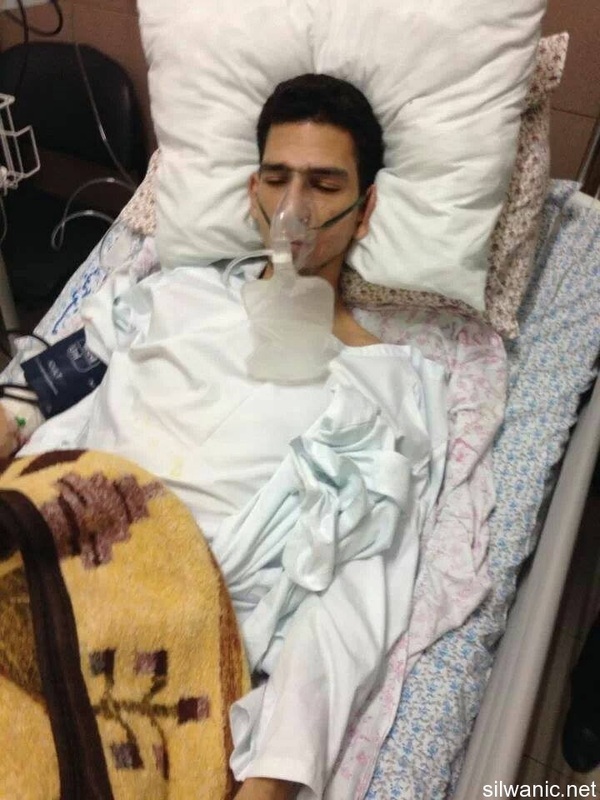 As soon as Khalil was transferred to Al-Maqased hospital, the Israeli police individuals arrived to take details about the incident and injury. Hani explained that two of the University’s guards were injured with shrapnel of sound bombs and rubber bullets during the clashes. Violent clashes also broke out on Friday night in the area of Ras Kasbah and Abu Dis to condemn the Martyrdom of Nour Afaneh on Thursday due to the closure of all entrances of the “container” checkpoint. Sporadic clashes broke out on Thursday between dozens of Palestinian citizens and the Israeli occupation forces (IOF) in Bab al-Zawia in the center of al-Khalil, in the southern West Bank. Local sources said that the clashes erupted in Bab al-Zawia after the soldiers started firing tear gas canisters and metal bullets towards the citizens, who responded by throwing stones and empty bottles. 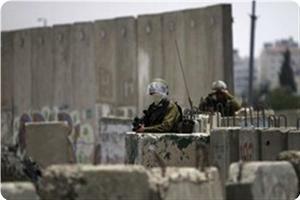 Some of the soldiers were deployed on the roofs of buildings overlooking the whereabouts of the Palestinian youths. Eyewitnesses told PIC that dozens of patrols were deployed in the main streets, on the bypass roads and at the entrances to towns and villages of al-Khalil. The IOF tightened security measures across the province, and the soldiers erected a number of checkpoints where they checked the identities of some passers-by and searched some vehicles. Palestinian medical sources have reported that several Palestinians were injured by Israeli army fire on Thursday evening [November 28, 2013], during clashes with invading soldiers. At least four were shot by live rounds, and were then moved to a local hospital, medical sources state. Local sources have reported that violent clashes took place at the entrance of the camp, where the army employed a new weapon which fires silent rounds and causes serious burns and injuries to the flesh. The sources added that scores of residents have been shot by rubber-coated metal bullets, while many have been treated for the effects of tear gas inhalation. 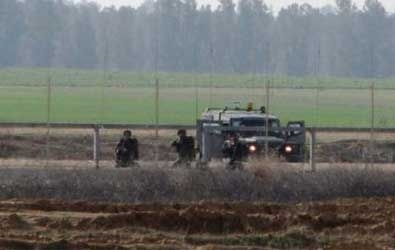 A Palestinian man was shot and injured in clashes with Israeli forces near the al-Shuhada cemetery east of Jabaliya in the Gaza Strip on Friday, witnesses said. Jibril al-Najjar, 22, was shot in the left leg and taken to Kamal Adwan hospital in moderate condition, they said. 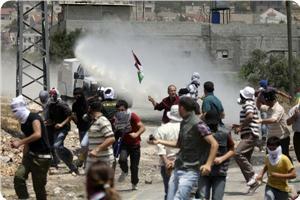 Clashes started after dozens of youths gathered near the cemetery and threw rocks at Israeli forces. 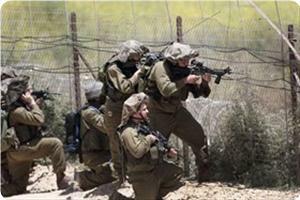 An Israeli military spokeswoman said dozens of Palestinians gathered near a security fence, which they damaged. She said they hurled rocks and a firebomb at the site. She said Israeli forces fired at one of the Palestinians who refused to comply with instructions and warning shots to leave the area. She said forces identified a hit on the Palestinian's "lower extremities." 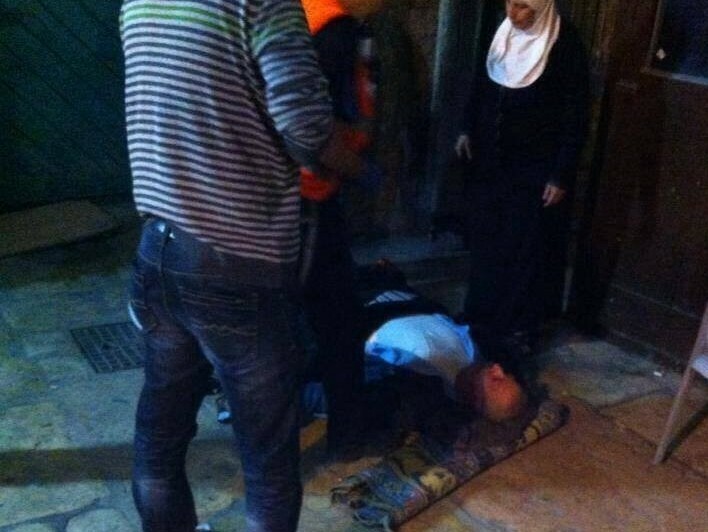 An Israeli policeman assaulted 60-year old Omar Za’aneen, one of Al-Aqsa guards on Thursday night; Omar lost consciousness as a result. Witnesses said that one policeman tried to close Al-Silsileh gate -one of Al-Aqsa gates- at 7:15 p.m. and before all worshippers were able to leave the Mosque. The guard refused to close the gate and insisted on closing it as scheduled. Verbal altercation broke out between the two sides and then the policeman pushed, assaulted and severely beat the guard which led to him falling on the ground and losing consciousness; note that he has heart problems and has a device installed in his heart. Witnesses added that the guard was transferred to Shaare Zedek Hospital for treatment. Israeli Army leadership has made on Wednesday evening a secret visit to Israeli military sites on the eastern border of the Gaza Strip in coincidence with unprecedented military reinforcements. Eyewitnesses revealed that the Israeli military leadership has visited the military sites along the Gaza border under intense flying of helicopters and reconnaissance aircraft, as well as military reinforcements on the ground. 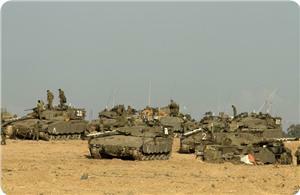 Eight Israeli helicopters hovered above four important Israeli military sites along the border, the sources added. Israeli media have not covered or mentioned the visit, the last secret visit was made by Israeli military leadership to military sites on Gaza borders was in 2008. 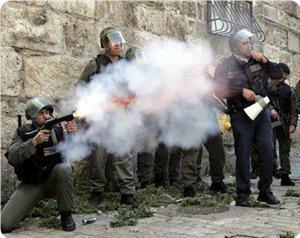 Israeli occupation forces’ raid in Tulkarem on Wednesday triggered clashes with young men in the city. Local sources said that the most violent clashes took place in Shuweika roundabout to the north of the city during which a number of young men sustained injuries and breathing problems. A medical source in Martyr Thabet Thabet hospital in the city said that several casualties were treated in the hospital after the soldiers fired metal bullets and teargas bombs at the young men. Israeli occupation forces (IOF) used brutal force to disperse a Palestinian demonstration near Ofer, west of Ramallah, protesting the IOF murder of three Palestinians in Al-Khalil. Eyewitnesses said that violent clashes took place when a march consisting of mainly college students arrived near Ofer military barrier on Wednesday morning. They said that the soldiers fired rubber bullets and teargas and sound bombs at the marchers wounding 15 students with rubber bullets while dozens were treated for breathing difficulty. The PIC reporter said that students of Bir Zeit university organized a peaceful march toward Ofer prison protesting the murder of three Palestinian resistance fighters in Al-Khalil. Palestinian medical sources said that all casualties were treated on the field without the need of transfer to hospitals. Meanwhile, IOF soldiers violently quelled another protest march in front of Jalazoun refugee camp, north of Ramallah, the PIC reporter said, adding that dozens of young men marched in protest against the crime in Yatta and the soldiers fired rubber bullets and teargas at them. Violent clashes have erupted throughout al-Kahlil in the southern occupied West Bank on Wednesday following the new Israeli crime in Yata town. 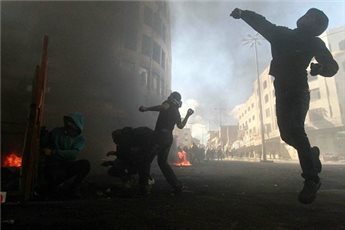 Clashes erupted in Bab al-Zawiya in al-Khalil between Palestinian youths, protesting the killing of three Palestinians in Yatta, and Israeli forces who fired tear gas bombs and metal bullets towards citizens. Several suffocation cases were reported. Meanwhile, local sources reported that clashes have erupted near Tariq ibn Ziyad school in southern al-Khalil. Several citizens marched in several areas of al-Khalil before the funeral of the three martyrs. Meanwhile, Israeli Occupation Forces (IOF) intensified on Wednesday its security measures and erected a number of checkpoints in al-Khalil, while Palestinian factions and groups called for day of rage and marches in protest at Yatta massacre. Israeli patrols were stationed since the early morning hours at entrances to al-Khalil province and erected several checkpoints throughout the city. Furthermore, Palestinian factions and youth group called for day of rage protesting the killing of three Palestinian resistance fighters affiliated with the Qassam Brigades near Yatta on Tuesday night. For its part, the Student Movement and Student Council at Birzeit University called on Wednesday for a march outside Ofer prison west of Ramallah protesting Yatta massacre. The Student Movement has organized a sit-in at the university before heading toward Ofer prison condemning the Israeli continued crimes against Palestinians, most recently was the killing of three citizens in Yatta. 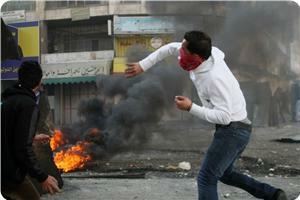 Local sources also said that Al-Quds University in Abu Dis organized a march in protest against Yatta massacre. Different towns and villages in the West Bank have declared a day of rage against Israeli violations and the continued security coordination. Palestinian medical sources have reported that several Palestinians have been wounded during clashes with Israeli soldiers invading Tulkarem city, in the northern part of the West Bank. 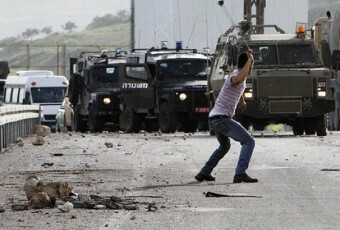 The clashes took place at the Shweika Junction in the city after several armored Israeli military jeeps invaded the city. Dozens of local youths threw stones and empty bottles at the invading soldiers, while the army fired dozens of rubber-coated metal bullets, gas bombs and concussion grenades, in addition to several rounds of live ammunition. Medical sources said that two brothers, identified as Rashid Barghouthi, 30, and Ayed, 25, were moved to Thabit Thabit Hospital in the city, while medics treated dozens for the effects of tear gas inhalation. Earlier on Wednesday, Israeli soldiers kidnapped 17 Palestinians in Nablus, in the northern part of the occupied West Bank, and in Hebron, in the southern part. The army also broke into and violently searched dozens of homes, and interrogated the residents. 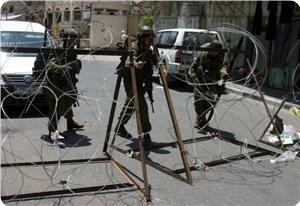 Several roadblocks were also installed in different parts of the occupied West Bank. On Tuesday evening, Israeli soldiers shot and killed three Palestinians east of Yatta town, near the southern West Bank city of Hebron. 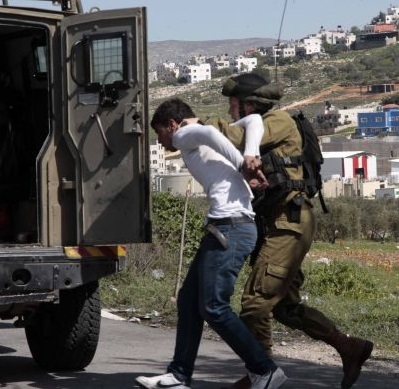 Israeli soldiers invaded various areas in the occupied West Bank, broke into and searched dozens of homes, and kidnapped seventeen Palestinians in the districts of Nablus and Hebron. 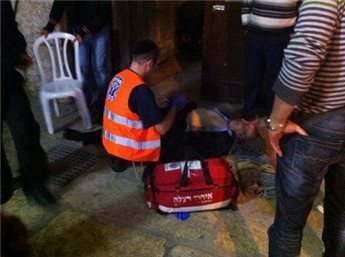 Several Palestinians wounded in Hebron. Local sources in Hebron, in the southern part of the occupied West Bank, have reported that dozens of soldiers invaded the city and kidnapped Abada Mohammad Ed’es, Anas Al-’Ajjoury, Nabil Nader Rajaby, Fadi Saber Borqan, and Lu’ay Faisal Hashlamon. Medial sources have reported that dozens of schoolchildren suffered the effects of tear gas inhalation after the army fired gas bombs close to the Zahra’ School, near the Tareq Ben Zeyad Junction, where clashes took place between the invading soldiers and local young men. Red Crescent medics said that the soldiers deliberately fired several gas bombs at the school, and that the army also fired rubber-coated metal bullets and concussion grenades. Furthermore, dozens of soldiers invaded Yatta town, near Hebron, and kidnapped Khalil Mohammad Abu Arram, and his son Mohammad, in addition to Yousef Abdullah Makhamra, his brother Ibrahim, Mahmoud Mansour Makhamra and his brother Mohammad. Mohammad Awad, media spokesperson of the Popular Committee Against the Wall in Beit Ummar town, near Hebron, has reported that dozens of soldiers invaded the town and kidnapped Yahia Hendy Abu Maria, 17, a former political prisoner. Awad said that the soldiers searched the home of Abu Maria, forced his family in one room while violently pushing them around; Abu Maria’s mother, Fa’eqa, 50 years of age, who suffers with diabetes, was injured after the soldiers pushed her into the ground. Soldiers also invaded the home of Hammad Sleiby, in the Al-Jalda area in Beit Ummar, and kidnapped his son Mohammad, 17 years of age, who was only released from an Israeli prison a week ago after spending three months in detention. The soldiers also confiscated the ID card of his brother Yahia, 22, a student of the Polytechnic Palestine College in Hebron. Furthermore, soldiers installed roadblocks at the entrances of Sa’ir and Doura towns, near Hebron, stopped and searched dozens of vehicles, and interrogated the residents while inspecting their ID cards. In addition, dozens of soldiers invaded the Old Town, of the northern West Bank city of Nablus, broke into and violently searched homes, kidnapped Ali Sahbeery, 21, after violently assaulting him, and ransacked his home while searching it. Media sources in Nablus have reported that the army also invaded Tal village, kidnapped Mo’tasem Reehan, 30, Mohammad Thabet Abu Amsha, 38, from Zawata village, northwest of Nablus, and Marcel Awwad in Awarta village. In related news, soldiers invaded the villages of Be’er Al-Basha and Tour Al-Gharbiyya, south of the northern West Bank district of Jenin, and searched several homes. Local sources in Be’er Al-Basha said that the soldiers handed four residents military warrants ordering them to head to a nearby military base for interrogation. The four have been identified as Moath and his Brother Anas Nasser Ghawadra, Shaher Bassem Ghawadra, and Mohammad Manthoum Ghawadra. The soldiers also invaded Youra Al-Gharbiyya village, broke into and searched several homes, and handed resident Mustafa Qabha a military warrant ordering them to head to a nearby military base for interrogation. In Jerusalem, Israeli soldiers based on one of the gates of the Al-Aqsa Mosque detained a young scholar, and prevented her from entering the mosque. Local sources said that dozens of Israeli extremists invaded the yards of the Al-Aqsa Mosque through the Magharba Gate, detained Shamiya al-Mostaseb, and denied her access to the mosque. They stated that about 20 extremists and police officers broke into the mosque area and quarreled with local worshipers. Israeli navy gunboats opened heavy machinegun fire at Palestinian fishing boats off the coast of Rafah, south of the Gaza Strip, on Tuesday night. 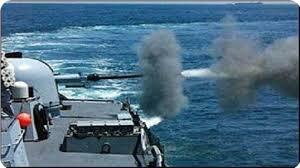 Sources in the marine police told the PIC reporter that the incident took place half a mile off Rafah harbor. They said that the shooting was coupled with the firing of flare bombs, adding that no casualties were reported. Palestinian fishermen are constant targets for Israeli navy gunboats while fishing at sea off Gaza Strip coasts. A Palestinian young man was injured when Israeli occupation forces (IOF) fired at an area east of Khan Younis, south of the Gaza Strip, on Tuesday night. Eyewitnesses said that IOF soldiers opened their machineguns at farmers in Fakhari area wounding one of them who was carried to Gaza European hospital south of Khan Younis. Dr. Ashraf Al-Qudra, the health ministry spokesman, told the PIC that a 23-year-old young man was hit with a bullet in his right foot, describing his condition as moderate. 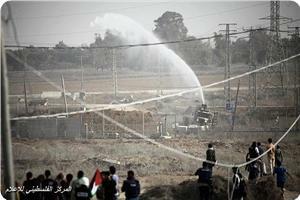 Israeli warplanes launched a series of mock raids on the Gaza Strip on Tuesday spreading panic among its inhabitants. A field observer told Quds Press that an Israeli F-16 dropped a number of bombs into the sea off the Gaza coast causing a series of big bangs that resounded in all areas of the enclave. A Palestinian security source charged that the Israeli warplanes launch mock raids every now and then on Gaza to terrorize its population. Jewish settlers attacked a Palestinian house in Burin village, south of Nablus, at dawn Tuesday with firebombs and started a fire in it. Ghassan Daghlas, an activist monitoring settlement activity north of the West Bank, said that the settlers threw at least two firebombs at the house of Ghassan Amran, east of the village, while all his family members were fast asleep. He said that house owners managed to extinguish the fire with the help of civil defense, which averted a real disaster especially when most of the family members were children. 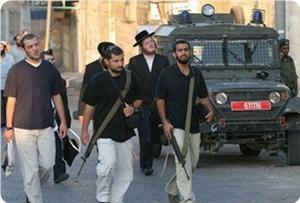 Daghlas charged that the settlers were affiliated with the “terrorist Price Tag gangs”. Meanwhile, local sources said that Israeli occupation forces (IOF) in five jeeps burst into the village after the incident. Settlers’ attacks on Palestinian citizens and their property escalated in the West Bank recently with most of them proceeding under IOF protection. The Israeli occupation violence at military checkpoints erected throughout the West Bank against Palestinians is not limited to residents of the West Bank, but includes "Israeli-Palestinians”. Sources from 1948-occupied Palestine confirmed that an Arab girl, whose lost both of her arms at the age of 12 years, was assaulted by Israeli forces while passing through a military checkpoint at Jenin northern West Bank. Arab MK Afu Ighbariya said in a letter to the Israeli Ministry of Public Security that an Arab girl, from Nazareth, has been subjected to provocation while passing through an Israeli military checkpoint after visiting her relatives in Jenin. She was subjected to humiliating search where Israeli soldiers forced her to take off her prosthetic arms, claiming that it is a part of the search. She was left without her prosthetic arms for two hours. When she complained about this barbaric treatment she was told by a female officer to go and search in the rules of the Israeli Ministry of Public Affairs and find out if there are any rules that do not allow taking off prosthetic limbs during a body search. MK Afu quoted the girl, Huda al-Zoghbias, as saying that five Israeli soldiers have searched her violently with complete disregard to her health condition and her physical disability. He stressed in his letter that Israeli soldiers used rude and provocative policy against disabled Arab citizens.